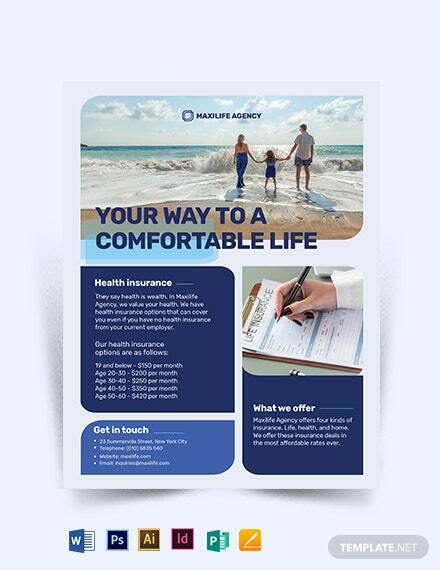 An agency flyer is a tool used to provide information about a particular agency and the services that it can offer to its customers or clients.You may also see flyer examples. 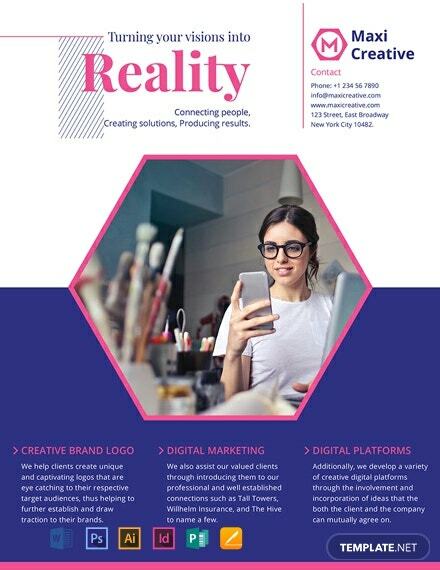 This tool is an effective marketing, branding and advertising platform as it can showcase the image that an agency would like to portray to the general public. 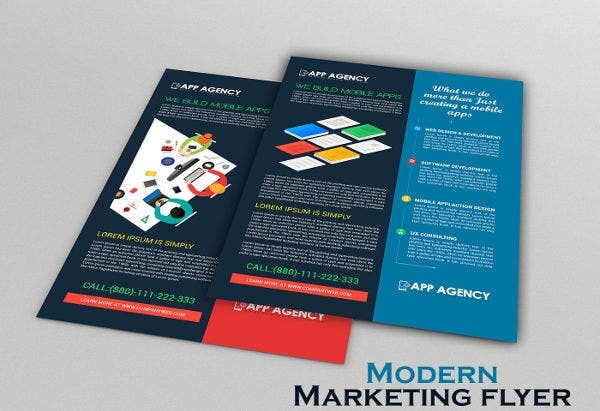 In creating an agency flyer, make sure to consider the flyer design, the format of the document, and the content that you will place in it. 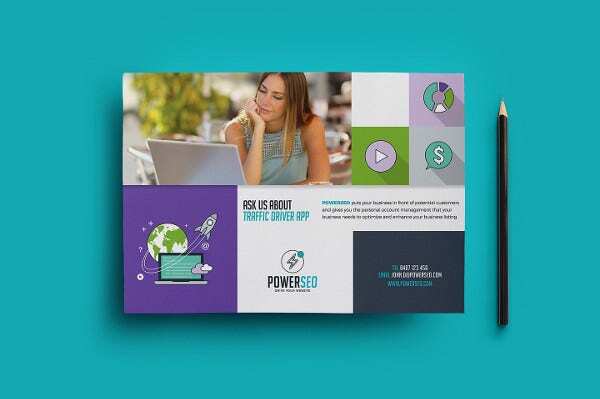 Business flyer templates can be used by agencies who provide SEO services to their clients. 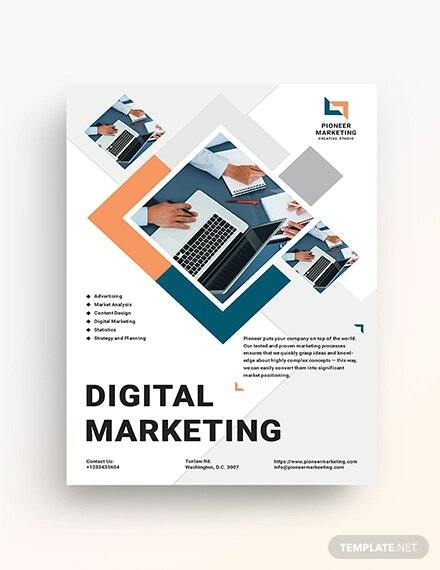 Use and develop this template in Photoshop or Illustrator format to provide the details on how you can potentially showcase the products and/or services of your customers to its online target market. 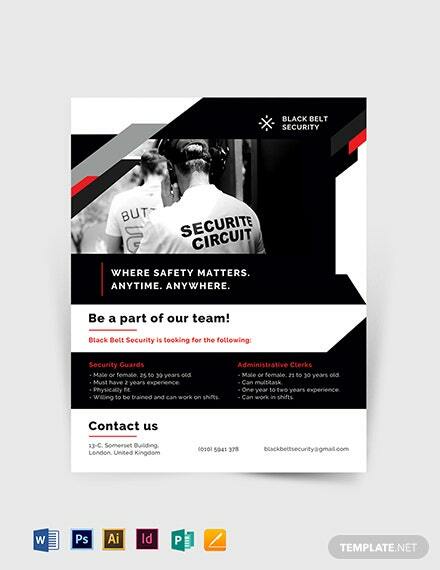 If you think that a general format for your flyer is not for your agency, there is always a room for you and your design team to be crafty and artistic. 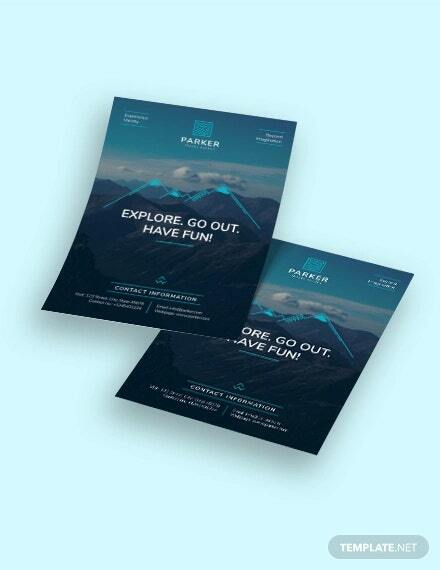 Use bold colors, shapes, and images that can make your beautiful business flyer more appealing. This can be quite beneficial for agencies who recruit artists and other creatives. 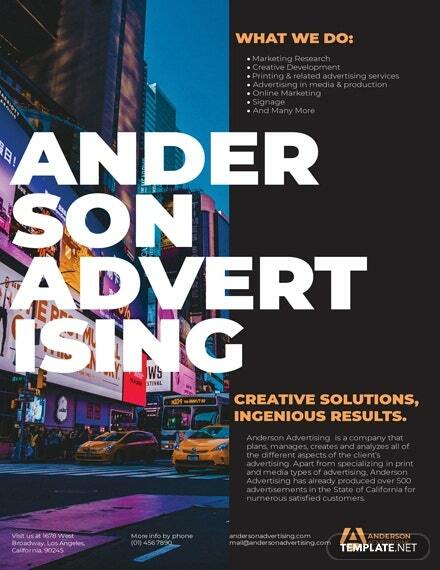 Are you an entrepreneur or a freelancer looking for ways on how you can advertise your brand? 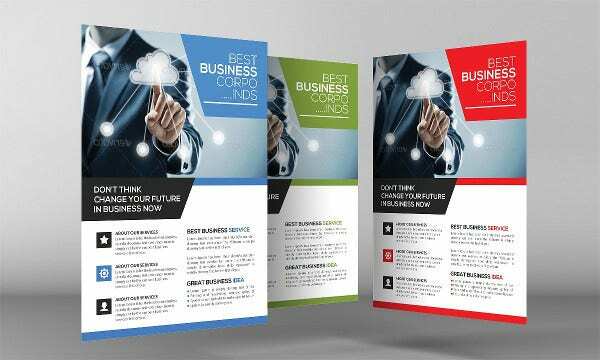 The usage of a marketing agency flyer is the best option for you as it comes with minimal costs that can produce effective results. 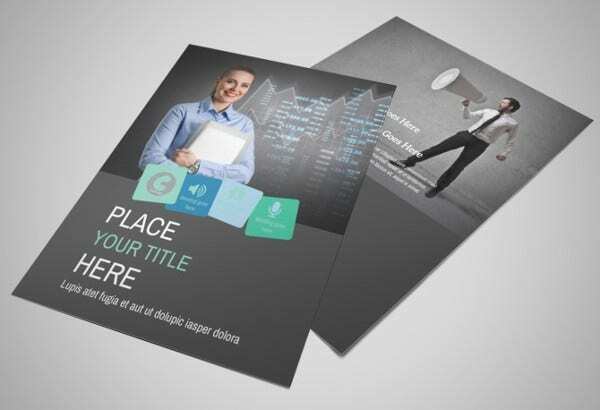 Start developing your sample flyers and be more marketable than you ever thought you could. 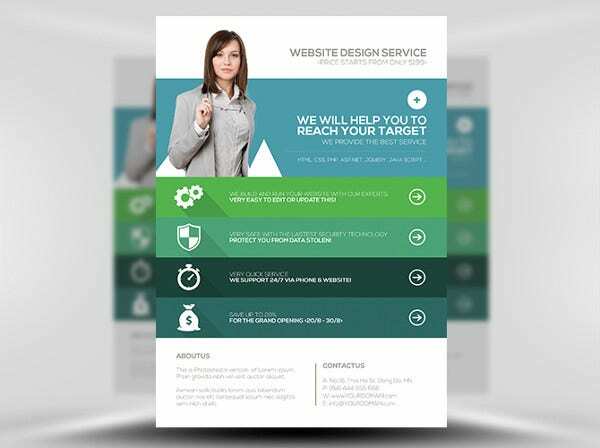 If your web design agency needs to be promoted accordingly, you can use a flat style web agency flyer that can reflect the image that your target customers can see when they look at the monitor of their laptops or personal computers. 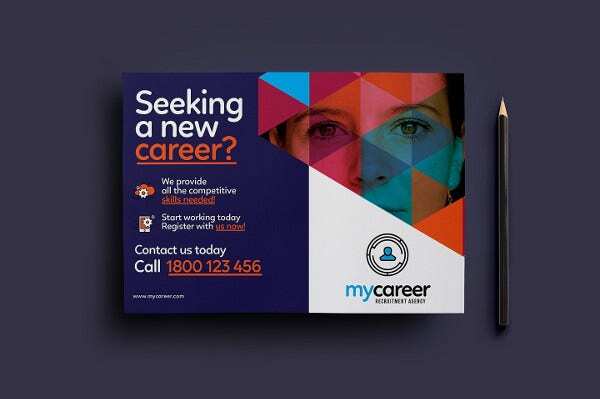 Use color blocking and flat icons to achieve a maximum web design-inspired aesthetic, which can be effective as job fair flyers, if you want to hire employees or as promotional tools during conventions and trade events. 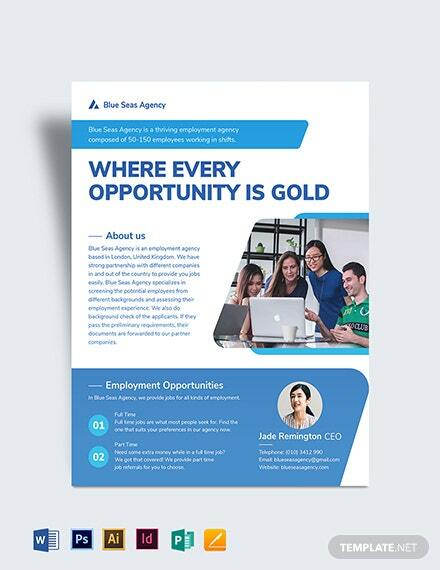 Recruitment agencies can use this agency flyer template to create job flyers that can attract potential and qualified work candidates. Make sure to place all the information that should be known by applicants to ensure that they can have an easy time in passing their applications, which can possibly add value to the operations of the business should they be hired. 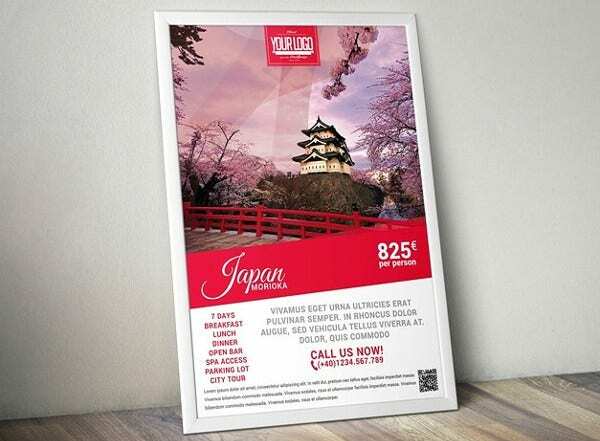 Travel agency flyers, unlike realtor flyers that are more formal and sleek, are expected to be playful, vibrant, inviting, and creative. Use this template to provide the customers and clients a quick glance of everything that your travel agency has to offer. Make use of location images, travel icons and itinerary offers to make your travel agency flyer more attractive. Photography flyer templates is best for this undertaking as it can showcase the beautiful destinations that you can help your customers to be at by booking your services. 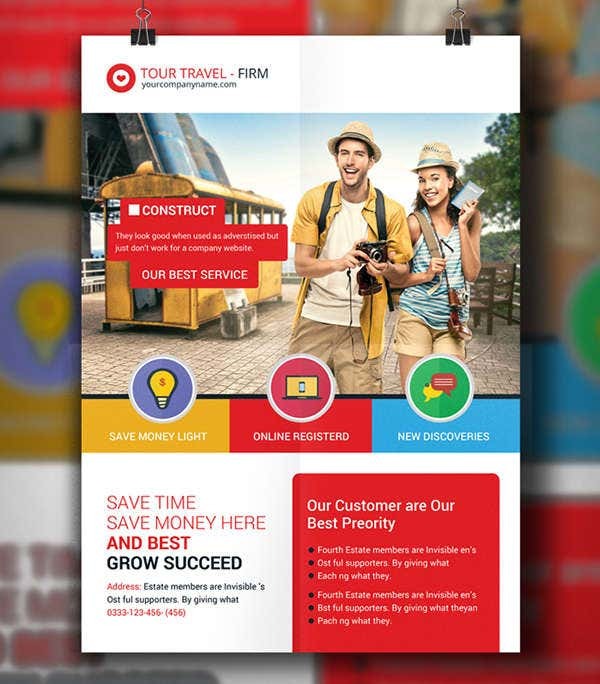 If your agency specialized in offering travel tours, make your agency flyer design more experience-based. Showcase photos of your clients from their previous trips or even samples of travel guides that your prospective clients can acquire. 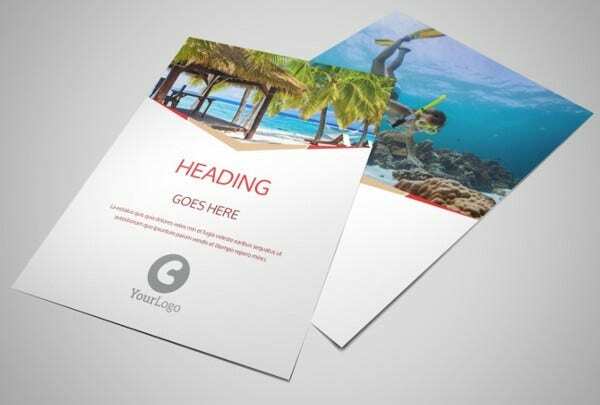 Make your flyer templates in PSD, PPT, or Illustrator as friendly-looking as possible so you can get more positive responses from travelers. 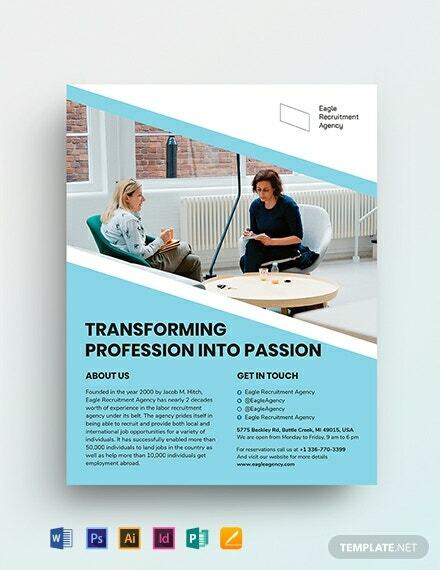 Creating agency flyer designs is not an easy job. You need to make sure that your agency flyer can represent the business well enough that you can attract more customers to your doorstep. 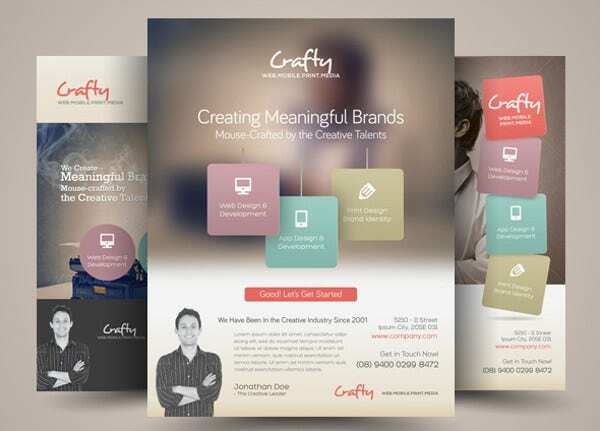 Our downloadable samples of modern flyer templates can help you just with that.